​Dr. Peter Leitner, Willamette Week’s 2015 Chiropractor of the Year, treats pain and discomfort from injuries and the stresses of daily life, partnering with patients who are eager to play a more active role in their healthcare. He gives patients tools to create the lives they want to live. Dr. Leitner grew up in New York City, graduated with Honors from Princeton University and moved to Portland to get his Doctorate in Chiropractic at the University of Western States. Many of his patients have never seen a chiropractor before. He works with Olympic athletes, artists, dancers, children, pregnant woman and professionals navigating the challenges of contemporary life. His background in therapeutic massage and Jungian psychology allows him to approach patient care from a rare vantage point. 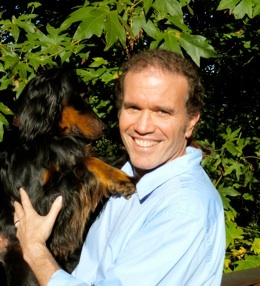 Deeply sensitive to the ways in which psyche can express itself through the body, Dr. Leitner is also profoundly respectful of the unique path each individual follows. A lover of literature, film, music and the arts, he is an avid skier and martial artist who has a deep understanding of the ways the body responds to the unpredictable and changing environment around us. Peter's wife, Victoria, runs the Portland Institute of Contemporary Art, and his son Julien, who studies at Columbia University, is a rapper and the founder of archimedesalliance.org—a charity that allows people of ordinary means to become philanthropists. It's between NW Glisan and Hoyt, next to Oblation. "I am an MD physician and have the usual MD skepticism about many complementary therapies but have kept my mind open to the options. A few years ago I began having some back problems and Peter was recommended to me. He has been a lifesaver. Although my back still occasionally acts up, Peter has helped me keep it to a minimum. He also acts as a counselor - always checking on other aspects of my life that may be leading to stress and contributing to the back issues. Finally he is a dog lover and has his dog in the office for support of patients who love dogs. AND his office is very dog friendly - my puppy loves coming to the office and helping out with my therapy. "